Build a Website or an E-Business, by using the awesome Site Build It software that I am using for this site, and you could open your life to a new world this year! I sure did! It’s a world where alarm clocks and bosses, especially bad ones, don’t exist. You can work when and where you want, and put your family first! You can work for yourself, rather than an hourly wage with a salary ceiling, by developing Passive Streams of Income. The sky is the limit! I’m finally living in this dream world, and I love it! 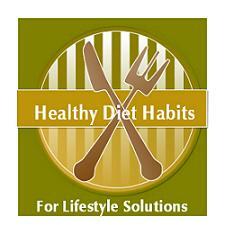 The Healthy Diet Habits website (this site), was launched on February 20, 2011, and IS IN the TOP 1% of ALL Websites - I'll have 300+ pages by the end of 2011, and complete my 500+ core planned pages in 2012. I already have plans for a 2nd site working with my sister, on a different topic that I'm excited about! SBI is designed for beginners (those without web design experience) and those with existing web design experience, and has written and video instructions broken down into a 10 day plan called "The Action Guide" which will walk you through the process of creating an E-Business from researching keywords and a domain name, to building traffic, and monetizing your site. The video below gives you a brief overview of the process, and then you can click on the screen to watch a 30 minute more in depth overview of the 10 day plan process with some screen shots of the process. SBI has been a must for me, because I am not a trained website designer, and have very little computer experience. I had a passion that I wanted to share with the world, but I did not have the expertise to get the message out. My husband recommended taking an HTML class to learn what I needed to know. I wanted my website done tomorrow, because I am impatient. SBI allowed me to quickly learn their block builder system, and get my website up and running. I had a basic curriculum, that I had already developed, so my site ranked well from the start. Letting SBI do some of the work, freed me up to write more content, and start Twitter and Facebook pages where I have a faithful following at this time. I am currently working to add passive streams of income to my site. Websites will not make you rich overnight, but I am in this for the long haul. I have had such an enjoyable year, and loved every minute of working at home and scheduling work around life! My sister and her daughter took advantage of an SBI 2-1 deal last year, in 2010! They are both living their dreams too! It’s been fun working together on our separate projects this year. We help each other out, and bounce ideas off of one another! In a funny way, SBI has helped us become a closer family! SBI can get you there too!